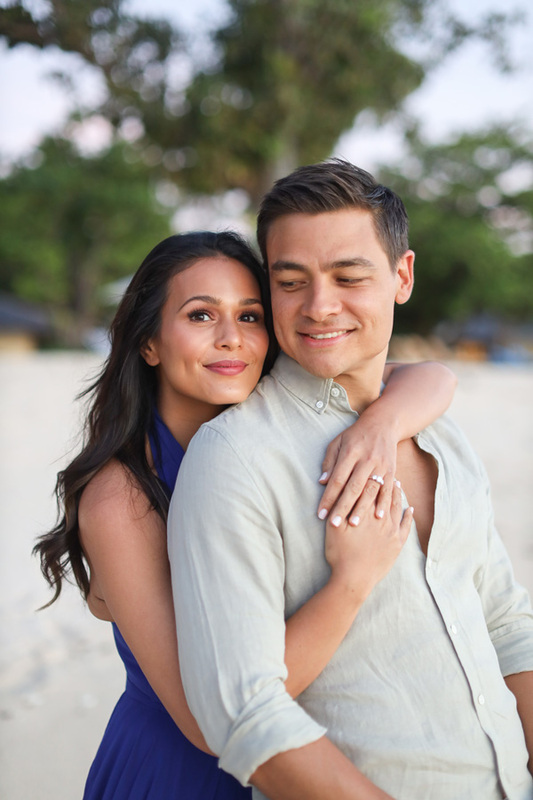 The 19th of December was indeed a stunning day to celebrate the love of Iza Calzado and Ben Wintle. Surrounded by their closest friends and family, they exchanged vows on the beautiful sands of Coron, Palawan. What made it even more picturesque was the lush styling of Gideon Hermosa, who made a gorgeous garden set come alive on the beach! Just look at that triangle ceremonial arch backdrop–amazing, right? But of course, nothing can compare to the beauty of the couple. Iza looked lovely in her gorgeous Rajo Laurel Dress, while Ben looked dashing in his beige ensemble by Suit It Up Manila. See how everything fell into place through their official SDE video. Now, relive the sweet moments with us through this set from Team Pat Dy Photography.